1. In a separate opinion with respect to the Judgment to exonerate Perisic, Justice Liu warns that the criteria of “a specific direction” which was the basis for the majority to annul the Judgment at the first instance, has not been applied in a principled or judicial fashion in court practices and does not represent the necessary condition of proving the individual criminal responsibility for aiding and abetting crime. 2. Insistence upon “a specific direction” substantially raises the onus of proof and enables those who consciously aid and abet the gravest crimes to evade responsibility. The various standards of proof within international law during the ascertaining of the individual criminal responsibility in given cases are in conflict with the universal legal principle of equality and, as such, ought to be disallowed. Introducing the legal standard of “a test of specific direction” brings about a conscious and deliberate narrowing of the criminal responsibility of the commanders, and fosters the culture of non-punishment for the gravest crimes against humanity and violations of international law, and is condemned by the civilized world. 3. The court practices of the ICTY point out that culpability for aiding and abetting can be ascertained even without conditions that actions of the indicted be necessarily oriented to crimes. Perisic’s actions are examples of behaviour which qualifies as aiding and abetting crime. Even if the “specific direction” were a necessary condition for proving aiding and abetting, the exonerating Judgement would not have been adequate given the continuous nature of aid which Perisic used to give to the Army of the Republic of Srpska. In the cases of Tadic and Celebic of the Appellate Council, the direct involvement of the military forces of SR Yugoslavia was confirmed (Judgement of the Appellate Council in the Tadic case, 1999, paragraph 162, Judgement of the Appellate Council in the case of Celebic 2001, paragraph 50). It is necessary to take into account details of the Judgement of the Appellate Council in the case of Tadic, para. 150, 151, 152-addendum 189, 155, 160. 4. The Perisic Judgement is a negative turn in the court practices of the ICTY which substantially raises the onus for ascertaining the culpability for aiding and abetting. That, in and of itself, erodes the purpose of such culpability and enables those who directly or indirectly aid and abet gravest of crimes to be exonerated from individual criminal responsibility. 5. 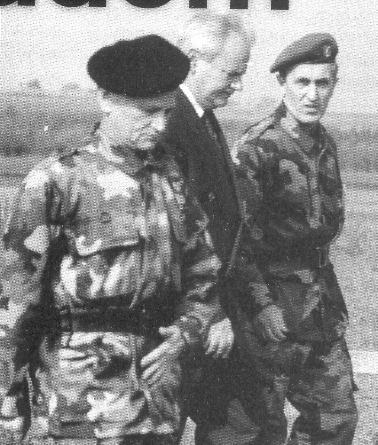 In reacting to the Judgement of the Appellate Council, experts in international criminal law find that such and exonerating Judgement for Perisic brings into question earlier findings of the ICTY with respect to the liaison between the Yugoslav Army and the Army of the Republic of Srpska, as well as that it could lead to requests for revisions of some earlier convictions which would have a negative effect upon truth and justice in the world. 6. We remind your Office about your earlier statement that the exonerating Judgement for Perisic violates international law and does not reflect the court practices of the ICTY. 7. The Appellate Council of the ICTY had, on February 28, 2013, annulled the conviction of Perisic who was found guilty for aiding and abetting the crimes committed in Sarajevo and Srebrenica and, in doing so, had practically exonerated Serbia of any culpability for the aggression against Bosnia and Herzegovina although the consequences of the destructive and inhumane actions are rather obvious in the material and objective meaning. Further, Judgement for Taylor runs counter to the Judgement of the Appellate Council, with which Judgement Perisic was exonerated for aiding and abetting war crimes. 8. In its final Judgement in the case of former Serbian political, military and police officials Nebojsa Pavkovic et al, the ICTY found that the Judgement exonerating Perisic from culpability for crimes committed was based upon a false legal standard. The Conclusion, delivered by the Head of the Council, Justice Theodor Meron, with respect to the Judgement of Perisic about “a specific direction” being the necessary condition for conviction of aiding and abetting crimes, had been tossed out. The Appellate Council was of opinion that that Conclusion within the final Judgement with which Meron exonerated Perisic from culpability for crimes in Bosnia and Herzegovina was not in harmony with the court practices of the ICTY, and further, is not in harmony with Judgements for Sljuivancaninc and Mrksic for crimes in Vukovar,as well as for Milan and Sredoje Lukic for monstrous murders in Visegrad. “The test of specific direction” does not accumulate to the prescribed legal element which is essential in ascertaining the existence of individual criminal responsibility. 9. The exonerating Judgement for Perisic is in direct and essential conflict with the prevailing court practices and international customary law. The exonerating Judgement represents a dangerous precedent which would enable the uniform rules of process to be changed during process and that could result in appeals against previous convictions and would also have negative effect upon other, future, judgements, which in its totality would take away from the materiality of the crimes committed. That would put into question the very raison d’être of the ICTY as well as the existence of law and uniform application of same. 10. 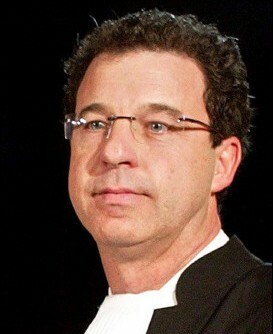 Judgement for Perisic substantially narrows the individual criminal culpability of the commanders and ignores the participation of the ranking military, police and political officials in carrying out crimes, which officials have a de iure and de facto culpability crimes being perpetrated in the meaning of preventing crimes and punishing the perpetrators after the fact. In the name of victims of, and witnesses to, the international conflict in Bosnia and Herzegovina, Institute for Research of Genocide, Canada would like to express its support for the motion filed by your office on February 3, 2014 before the ICTY Appeals Chamber requesting that it reconsider its acquittal of the former Chief of Staff of the Yugoslav Army Momcilo Perisic for aiding and abetting crimes committed in Sarajevo and Srebrenica between 1993 and 1995. We ask the President and Justices of the ICTY to exercise their prerogatives so as to keep the ICTY upon the path of truth and justice by revising the exonerating Judgement for said Perisic. We stand prepared to be of whatever further assistance you may deem appropriate. Former spokesperson for Judge Carla Del Ponte at the International Criminal Tribunal for Former Yugoslavia and Rwanda. » FRESHALB.COM – THE ONLINE ALBANIAN GROCERY DELIVERY SERVICE THAT IS TAKING WAVE NATIONWIDE! » BOYLE: JUSTICE DEMANDS THAT REPUBLIKA SRPSKA BE DISMANTLED! » KARADZIC VERDICT: MASTERMIND OF VIOLENCE OR VICTIM OF INJUSTICE? » BOSNIA AND HERZEGOVINA'S INDEPENDENCE DAY - CELEBRATING 27 YEARS! » GRAND MUFTI EMERITUS OF BOSNIA H.E. DR. MUSTAFA CERIC: NEVER AGAIN!! !